It is important not to allow the civilian component of the Pentagon and RAND to dictate measures that are suicidal for Taiwan and harmful to security in the Pacific and American credibility. The assumption for many years has been that that if China attacked Taiwan, Taipei would hold off China until the United States brought its power to bear and helped Taiwan survive. The theory is no longer valid because the US lacks both the resources and the will to reliably intervene in time. Taiwan will have to save itself, and it is in the U.S. strategic interest to help Taiwan have the defense equipment and technology it needs to protect its territory. Unfortunately, a RAND’s study of Taiwan’s air defenses, which was commissioned by Office of the Secretary of Defense, is more political than analytical. The study starts with a deeply flawed assumption – but one that the Pentagon and State Department politicians appear to favor – namely that Taiwan should all but abandon its air force and defend itself with its cache of air defense missiles, after China’s airplanes and missiles attack. While the study talks about options, it aims at getting Taiwan to keep only a small number of upgraded F-16’s and get rid of all the rest, which means scrapping 275 fighter jets including all of Taiwan’s home built IDF jets and all its Mirage 2000’s! RAND’s thesis is quite outlandish: When China decides to attack Taiwan with missiles and an overwhelming number of aircraft, Taiwan, with little air defense and early warning capabilities, will not be able to defend itself. Instead, it will have to watch how its planes are destroyed on the ground, and its airfields blasted away by Chinese missiles. This is a strategy that no other country in the world would entertain. It is not NATO’s strategy vis-a-vis Russia; Israel’s facing Iran, or Japan facing China. Among these, Israel has good air defense missiles. But why would Israel, which has good air defense missiles or Japan, or NATO put their military assets and their population under threat by waiting for the enemy? Suggesting that Taiwan becomes a sitting duck is preposterous. Taiwan’s air force is competitive in size and capability to Japan’s. But the Pentagon is not advising the Japanese to scrap their airplanes as the RAND study and the Pentagon are advising Taiwan. Of course, Taiwan is not Israel or Japan. The U.S. sells Israel, Japan, and many others the means to defend themselves. Why then the refusal to sell Taiwan the weapons it needs to counter the growing threat from China? The last time Washington sold an airplane to Taiwan was 1992 when George H.W. Bush’s decided to provide them with the early model of F-16. Since then, his successors refused to sell upgraded versions of the F-16 with better range and capability to penetrate China’s airspace. Fighter bombers (as opposed to purely air defense planes) have been absolutely out of the question. Thus, Taiwan never got F-15’s or F-18’s, which would have helped ward off the Chinese. Australia, Israel, and Japan got F-15’s, (Australia also got F-18’s) and are now getting F-35’s. Why not Taiwan? The RAND study did not even consider this issue, and therefore offered no change in policy. 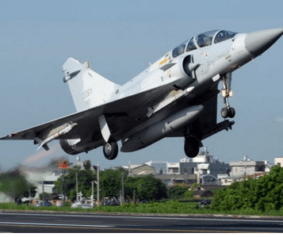 The RAND analysis misunderstood or ignored Taiwan’s home-produced fighter plane, known as the Indigenous Defense Fighter or IDF (technically the CK-1). Although the IDF will soon be upgraded, it is already a prodigious dog fighter. While it is not stealth, it can hide in and around Taiwan’s mountainous terrain and pop up and hit any Chinese fighters venturing into Taiwan’s airspace. 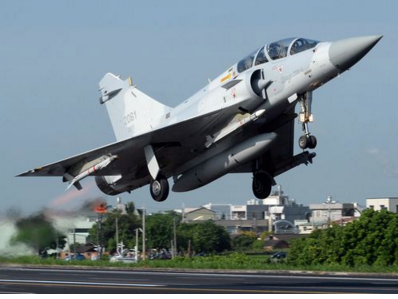 Taiwan, of course, has no plans to scrap these planes or the 60 French Mirage 2000-5 fighter aircraft as RAND recommended. Instead, it is planning to replace them. As for the IDF, Taiwan should consider extending the range, equipping it with improved BVRweapons and better radar, and consider reducing the plane’s radar signature wherever possible. The new government in Taiwan, which will take office in late May, is now evaluating options either for an entirely new aircraft or improving the IDF. It would be sensible to do both. To offset China’s move to stealthy aircraft Taiwan needs to improve its surveillance radars and expand the types of radars it uses to track enemy planes. Some experts, including Carlo Kopp from Air Power Australia, have studied developments in Russia and China, and the spread of stealth technology globally. Kopp sees a definite need for the U.S., Australia, and others to put in place a new generation radar sensors that can pick up stealth aircraft and attack it with long-range air-to-air and ground-to-air weapons. When Israeli Prime Minister Golda Meir refused to preempt the Egyptian and Syrian military build-up in 1973, Israel learned that waiting for the enemy to attack first could be a near-death experience. Her refusal to act preemptively cost the lives of hundreds of Israeli soldiers and airmen, allowed the Egyptians to cross the Suez Canal and blow away the Bar Lev defensive line that was supposed to protect Israel. Meir mistakenly believed that not shooting first would earn her important political support and military assistance from the U.S. But the U.S. resupply of weapons to Israel was dangerously tardy, and the delay almost led to a nuclear war. RAND’s recommendation to solely rely on ground-based missile air defense – though these missiles are not easier to protect than Taiwan’s air bases – is a prescription for failure. Democratic Taiwan is a U.S. ally and an asset in Asia. The civilian component of the Pentagon and the RAND Corporation should not be allowed to dictate measures that are suicidal for Taiwan and harmful to the security in the Pacific, and the U.S. Stripping Taiwan of its fighting capabilities would send the wrong message to China. * Dr. Stephen Bryen is the author of Technology Security and National Power: Winners and Losers(Transaction Publishers) and Fellow at ACD; Dr. Rachel Ehrenfeld is Director of ACD.